Juniper trees and shrubs are in the genus Juniperus in the cypress (Cupressaceae) family. These evergreen conifers feature leaves that can either be like needles or scales, and most of the species change from needle form to scale form as they mature. 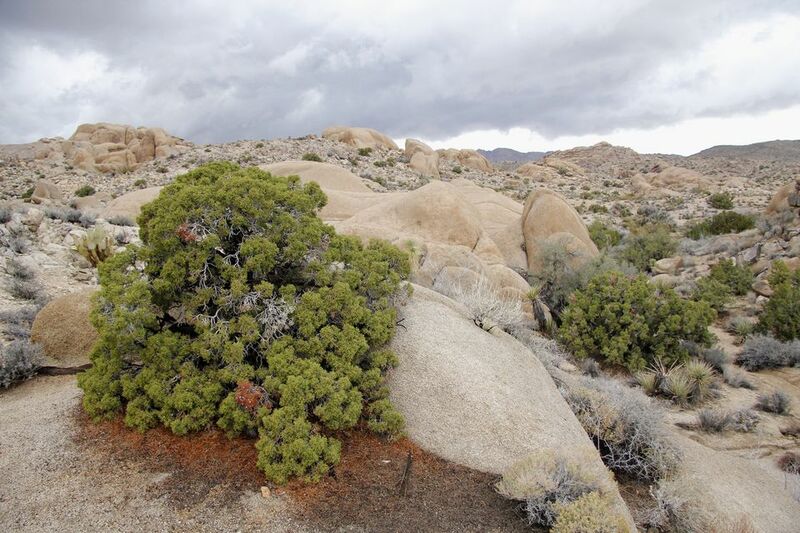 Most junipers offer at least some level of drought resistance. Many of the common names include the word cedar, though true cedars belong to the genus Cedrus. Junipers may be monoecious or dioecious. While the female fruits appear to be berries, they are actually fused cones. The cones of the common juniper (Juniperus communis) provide the flavoring for gin. Juniper fruits are also used as a spice in cooking. Do not plant a juniper in your yard if there are apple trees in your yard or within a mile or two. There is a fungus called cedar-apple rust (Gymnosporangium juniperi-virginianae) which makes its home on juniper trees first, then transfers to apples, crabapples, hawthorn, and quince, causing damage to both plants. The eastern redcedar (Juniperus virginiana) is the usual host on the juniper side, though many of the other species are also susceptible to at least some degree. Botanical Name: Juniperus deppeana. Synonyms are Juniperus mexicana and Juniperus pachyphloea. This juniper is usually found as a large shrub in the Southwest, though it can sometimes grow to be a medium-sized tree in the wild. It features scale-like leaves and reddish-brown cones. One variety of the Chinese juniper ("Toruloso") is known as the Hollywood juniper. As it matures it creates an intriguing twisted form that works well as a specimen plant. There are many other varieties composed of different shapes and colors. As the name suggests, this juniper shrub is commonly found throughout much of the world. It grows well in both alkaline and acidic soils, as well as adapting to many locations such as windy sites. Creeping juniper lives up to its name and works well as a groundcover. It is very adaptable and can handle many different soils and situations. Drooping juniper gets its name because of the way that the branchlets droop down. 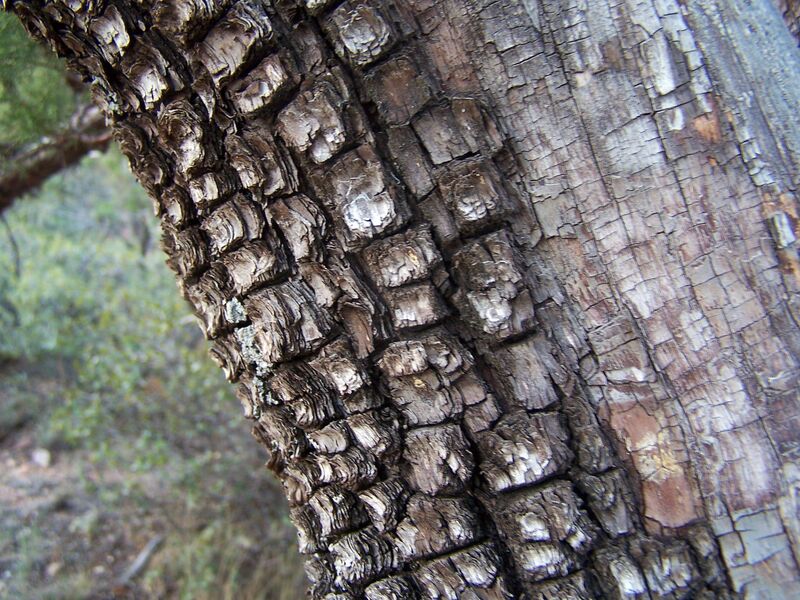 The reddish-brown or grey bark shreds off in strips. Height: Most trees peak at around 35 to 40 feet tall. As mentioned above, this is the main host for cedar-apple rust disease. This juniper species is especially fragrant, and this quality is sometimes used to repel insects. This tree is also used as a Christmas tree. Botanical Name: Juniperus virginiana or Sabina virginiana. The Greek juniper is often found growing alongside the stinking juniper (Juniperus foetidissima). These hardy trees can even grow on the sides of rocky cliffs. Although this plant's cone usually has one seed (inspiring the name), it can produce up to three once in a while. This is a common host for the juniper mistletoe (Phoradendron juniperinum). This is a close relative to the eastern redcedar and is susceptible to cedar-apple rust. The Rocky Mountain juniper usually grows in a pyramidal shape. "Skyrocket" is an especially narrow type that is bluish-green. The city of Cedar City, UT, and Cedar Breaks National Monument got their names because of these trees, which grow abundantly in Utah and do well in its alkaline soils. It is also the juniper that you are most likely to run into in Arizona, as well as finding it growing throughout the rest of the western United States. Botanical Name: Juniperus osteosperma, Juniperus utahensis, or Sabina osteosperma. The western juniper provides food for a variety of wildlife throughout the year. The wood was used for many different tasks during the pioneer era.